[February 2018] We published a new paper at the AAAI-18, AIVAT: A New Variance Reduction Technique for Agent Evaluation in Imperfect Information Games by Neil Burch, Martin Schmid, Matej Moravcik, Dustin Morrill, and Michael Bowling. [December 2017] Neil Burch's doctoral dissertation is now available in our list of publications. [November 2017] We have published an extension to our January 2015 Science paper on solving heads-up limit Texas hold'em in Communications of the ACM. Here you can see how Cepheus performs in competition with previous agents developed by the CPRG and human players! See our Communications of the ACM article for all the details. [March 2017] We have created DeepStack, a novel fusion of deep learning, the CFR algorithm, and decomposition, which was the first program to defeat professional poker players at heads-up no-limit Texas hold'em! The details are described in a March 2017 Science article. [February 2017] We published two new papers at the AAAI-17 Workshop on Computer Poker and Imperfect Information Games, AIVAT: A New Variance Reduction Technique for Agent Evaluation in Imperfect Information Games by Neil Burch, Martin Schmid, Matej Moravcik, and Michael Bowling; and Eqilibrium Approximation Quality of Current No-Limit Poker Bots by Viliam Lisy and Michael Bowling. [March 2016] Trevor Davis&apos;s masters thesis and Michael Johanson&apos;s doctoral dissertation are now available in our list of publications. [May 2015] The CPRG has released two new papers, Decision-theoretic Clustering of Strategies, which appeared at AAMAS 2015 in Istanbul, Turkey; and Solving Heads-up Limit Texas Hold’em, which will appear at IJCAI 2015 in Buenos Aires, Argentina. [January 2015] We have solved heads-up limit Texas hold&apos;em! The details are described in a January 2015 Science article and more information can be found at the home of Cepheus. [January 2015] The CPRG has released a new paper, Solving Games with Functional Regret Estimation, that will be appearing at AAAI 2015 in Austin Texas, USA. [July 2014] The CPRG has released a new paper, Solving Imperfect Information Games Using Decomposition, that will be appearing at AAAI 2014 in Québec City, Québec, Canada. [July 2014] The CPRG has released a new paper, Using Response Functions to Measure Strategy Strength, that will be appearing at AAAI 2014 in Québec City, Québec, Canada. *Hyperborean and Feste are not separated by a statistically significant margin. Due to an error by the chair in setting the size of the blinds, these results differ from what was originally announced. *Prelude, Hyperborean and Slumbot are not separated by a statistically significant margin. *Nyx, Prelude and Slumbot are not separated by a statistically significant margin. For complete results, see the 2014 ACPC results page. [March 2014] The CPRG has released a new paper, Asymmetric Abstractions for Adversarial Settings, that will be appearing at AAMAS 2014 in Paris, France. The paper presents experiments that show benefits to developing agents in self play with other agents playing in smaller abstractions. [February 2014] Joshua Davidson&apos;s M.Sc. thesis has been added to the publications section. It investigates the agent and data baseline techniques for reducing variance in player evaluation. [February 2014] Richard Gibson&apos;s Ph.D. dissertation has been added to the publications section. It discusses the advancements in regret minimization techniques and poker agents to which Rich has contributed and pioneered. [August 2013] Alberta Innovates Technology Futures has posted an article describing the CPRG, the Annual Computer Poker Competition, and the CPRG&apos;s contributions to Alberta! [August 2013] A new open source implementation of a CFR variant, Open Pure CFR, has been released. The implementation provides a time and memory efficient variant of CFR that can compute strategies playable in the ACPC. For complete results, see the 2013 ACPC results page. [May 2013] The CPRG has released a new paper, Automating Collusion Detection in Sequential Games, that will be appearing at AAAI 2013 in Bellevue, Washington. The paper presents a novel approach to detecting unfair collaboration among sets of players. A longer discussion of this work can be found in Parisa Mazrooei&apos;s Master&apos;s thesis. [March 2013] The CPRG has released 4 new papers and an extended abstract, all of which will be appearing at AAMAS 2013 in St. Paul, Minnesota in May. The papers present a family of exact equilibrium profiles for 3-player Kuhn poker, a new variance reduction tool called baseline, a new rating system, new card abstraction techniques and evaluation, and a novel approach to online opponent modelling. Head over to the publications page for all the details. [March 2013] We have released a new tool, Count NL Infosets, that can be used to count the number of game states, information sets, actions, and terminal nodes in large limit and no-limit Texas hold&apos;em and royal hold&apos;em games. Details can be found in the accompanying technical report. [November 2012] The CPRG has released a new paper, Efficient Monte Carlo Counterfactual Regret Minimization in Games with Many Player Actions, that will be appearing at NIPS 2012 in Lake Tahoe, Nevada. The paper presents a new Monte Carlo CFR sampling algorithm that converges to equilibrium faster than previous algorithms when players have many possible actions, such as in no limit poker. [July 2012] Our second and third blogs for IEEE Spectrum about this year&apos;s Annual Computer Poker Competition have been posted. The second blog explains our entries in this year&apos;s competition, while the third discusses the competition results. For complete results of the competition, see the 2012 ACPC results page. [July 2012] The CPRG has released three new papers that will be appearing at AAAI-12 in Toronto. Firstly, Generalized Sampling and Variance in Counterfactual Regret Minimization analyzes the effects of variance in Monte Carlo Counterfactual Regret Minimization and proposes a new algorithm that reduces variance to produce less exploitable strategies. Secondly, Using Sliding Windows to Generate Action Abstractions in Extensive-Form Games presents a new algorithm for finding bet sizes that produce no-limit abstract games with higher game values than previously hand-chosen abstractions. Finally, Finding Optimal Abstract Strategies in Extensive-Form Games shows how to produce abstract strategies with minimial exploitability in the unabstracted game, generating the least exploitable strategies ever computed for two-player limit Texas Hold&apos;em. [July 2012] We are writing a short series of blogs for IEEE Spectrum about the upcoming Annual Computer Poker Competition. [February 2012] The CPRG has released a new paper, Efficient Nash Equilibrium Approximation through Monte Carlo Counterfactual Regret Minimization, that will be appearing at AAMAS 2012. The paper shows how to speed up Counterfactual Regret Minimization by applying recent advances used in large best response computations to develop a new sampling algorithm called "Public Chance Sampling." [December 2011] The CPRG has released a new paper, On Strategy Stitching in Large Extensive Form Multiplayer Games, that appeared at NIPS 2011. The paper investigates techniques for partitioning a game tree into smaller pieces, abstracting each piece independently, and combining strategies from each piece into a complete strategy for playing the full game. [August 2011] The CPRG has released a new paper, Automated Action Abstraction of Imperfect Information Extensive-Form Games, that appeared at AAAI-11. The paper describes a new algorithm that can determine appropriate bet sizes in No-Limit poker. For complete results of the competition, see the 2011 ACPC results page. [June 2011] The CPRG is now on Twitter: @PolarisPoker. [June 2011] The CPRG has released a new paper, Accelerating Best Response Calculation in Large Extensive Games, that will be appearing at IJCAI-11 in July. The paper demonstrates how to evaluate an agent&apos;s worst-case performance in very large games and applies the technique to agents in heads-up limit Texas Hold&apos;em. 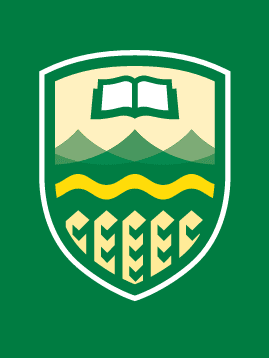 [March 2011] The University of Alberta newspaper, The Gateway, has published an article about the CPRG. A pdf of the article can be downloaded here.